Poverty threatens democracy in Nigeria – Royal Times of Nigeria. Extreme poverty is threatening Nigeria’s democracy, Speaker of House of Representatives, Mr Yakubu Dogara, has said. Dogara told a delegation from the Conference of Speakers of Nigerian State Legislatures, on Wednesday in Abuja that there was urgent need for governments at all levels to put citizens on path of prosperity. Threading such path, he said, would save the country’s democracy. To achieve this, the speaker said that states’ Houses of Assembly would have to work hard to improve their monitoring of state funds to ensure that they were properly utilised for the betterment of the people. According to him, doing this will help to lift the vast population of the people from poverty. 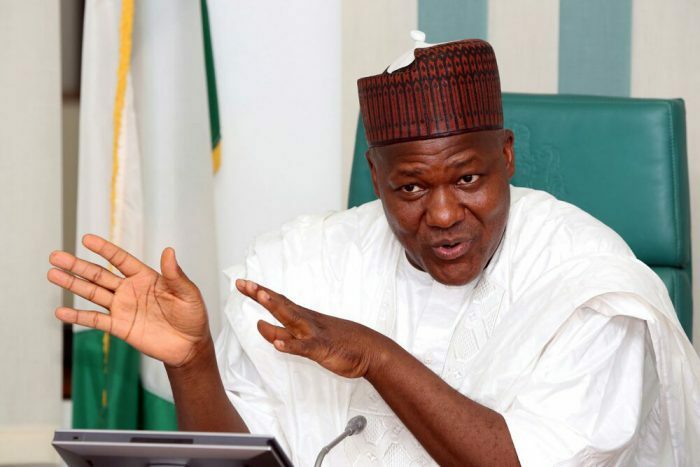 Dogara, however, advised the speakers to be fearless in carrying out their responsibilities and oversight their state executives without being combative. “In democracy, we worship no one, we should fear only God but we respect men. “When you have a parliament that only responds to the demands of the executive, there is no way we can make progress. We have to carry out our responsibilities without having any fear at all. “The promise of democracy is basically life, liberty and the pursuit of happiness. It therefore means that if a citizen is poor, he is excluded from the promise of democracy. “He may have a life but as a matter of fact, his kind of life is even worse than death. So, poverty tends to becloud someone’s sense of reasoning and imagination. “That is why even at the level of the United Nations, a day has been set aside to talk about the elimination of extreme poverty which excludes citizens of democracy from the promise of democracy. “If you are poor, you may not have a life and even if you have a life, it may not be desirable. “A poor man is not free; you know that very well except you have not tasted poverty. So completely, you are eliminated from the promise of democracy,” he said. The speaker called on the delegation to utilise the opportunity in the proposed amendments to approve financial autonomy for state legislatures and local government councils. He said that this would enable them to free themselves from the reins of state executives and strengthen their roles of oversight. He also explained the delay in the transmission of the Constitution Amendment Bills recently passed by both chambers of the National Assembly to state parliaments. Dogara said that it was as a result of ongoing consultations between the two chambers to harmonise all areas of differences in order to produce a uniform document. Condemning the use of the term “Abuja politicians” to describe federal legislators, he noted that most of their work at the federal level was primarily for the development of the grassroots where most of their voters reside. Earlier, Chairman of the Conference of Speakers of Nigerian State Legislatures, Ismaila Kamba, said that they were waiting anxiously for the Constitution amendment bills to be transmitted to them for consideration and passage. He said “we at the Conference of Speakers are ready to do justice to these issues.